We are Vancouver's original annual market dedicated to eclectic fashion, vintage style and costumers of all sorts. This is our 7th year bringing you unique clothing, hats, fascinators, leatherwork, corsets, hats, masks, and other accessories to ensure your wardrobe stands out! We have items for gentlemen as well as ladies, and even items for that distinctive child or baby in the family. From across time and space, from far distant lands and from the active imaginations of our artisans, we strive to bring you the beautiful and unique! Dress up and meet our local artisans & vintage collectors, and join us to shop, enjoy the spectacle, and be inspired! 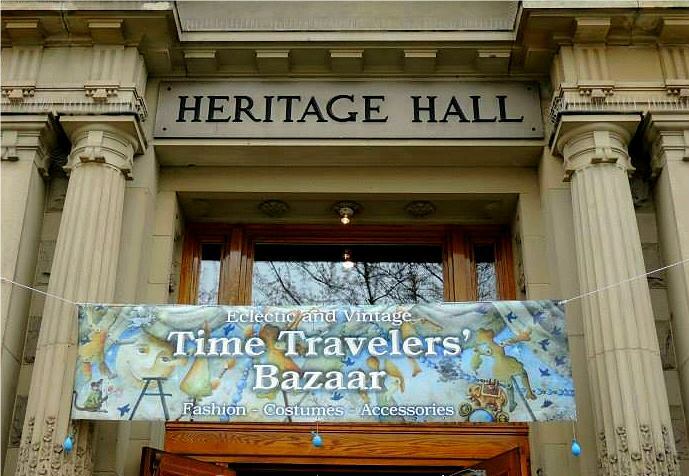 We operate out of the stunning & magical Heritage Hall on Main Street, Vancouver, in a neighbourhood full of vintage and unique fashion stores. Come and make it Eclectic Fashion Day on Main Street! Wheelchair & stroller accessible - ask our charming door people to let you in the ramp door.